For a truly stunning designs, collect these beautiful Amethyst, Citrine And Ametrine Faceted Drops into your creations. 170cts Ametrine Graduated Faceted Medium Nuggets Approx 10x6 to 16x7mm, 11cm Strand. 195cts Ametrine Graduated Faceted Drops Approx 12x6 to 27x11mm, 11cm Strand. 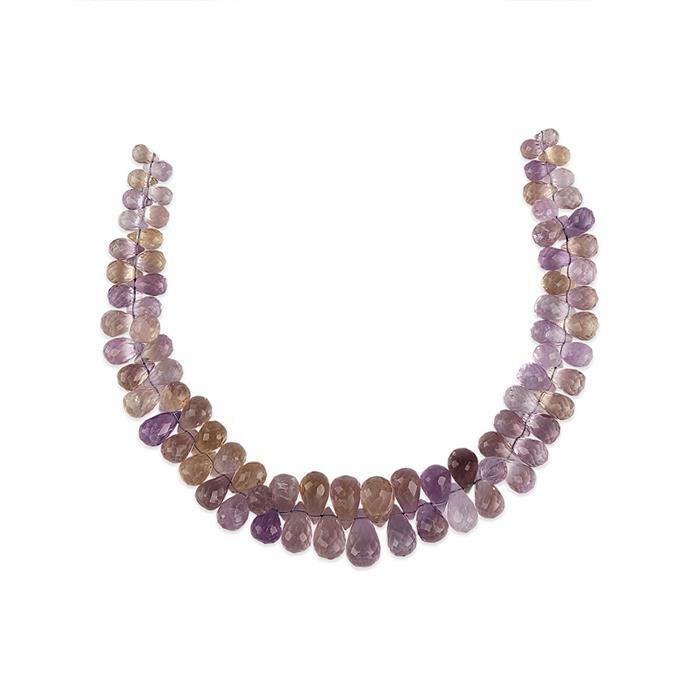 100cts Ametrine Graduated Plain Ovals Approx 8x6 to 18x12mm, 20cm Strand. 250cts Ametrine Graduated Elongated Faceted Pears Approx 12x7 to 25x13mm, 14cm Strand. 58cts Amethyst & Citrine The Passo Collection Approx 5x3 to 8x5mm, 8cm Strand. 140cts Ametrine Graduated Faceted Large Nuggets Approx 11x8 to 19x13mm, 19cm Strand. 135cts Ametrine Graduated Faceted Irregular Large Nuggets Approx 9x4 to 16x7, 17cm Strand. 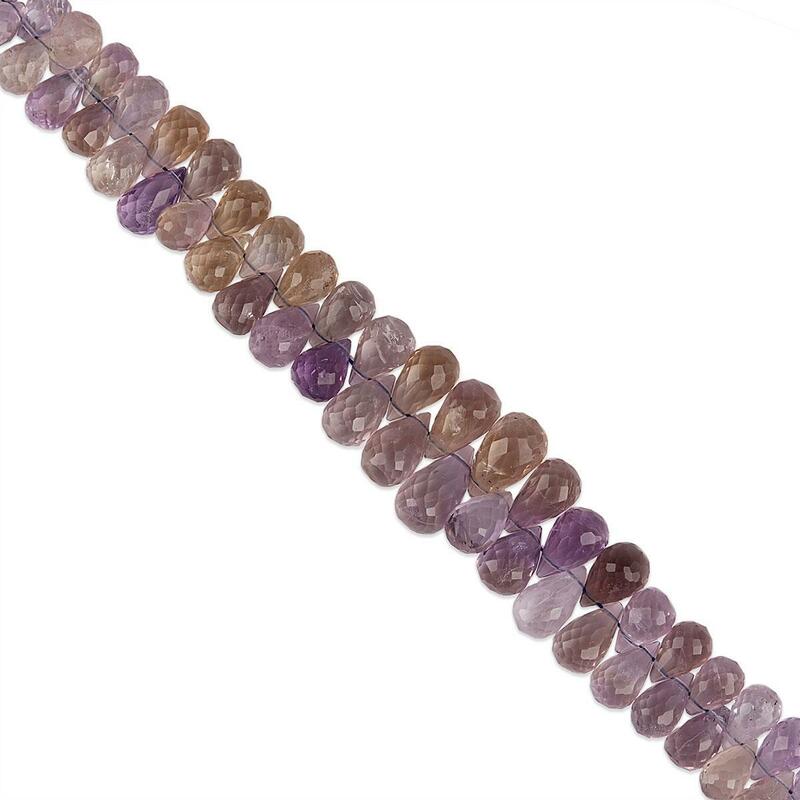 115cts Ametrine Graduated Faceted Rondelles Approx 6x3 to 9x5mm, 19cm Strands. 165cts Ametrine Graduated Faceted Pear Approx 11x7 to 25x15mm, 20cm Strands.